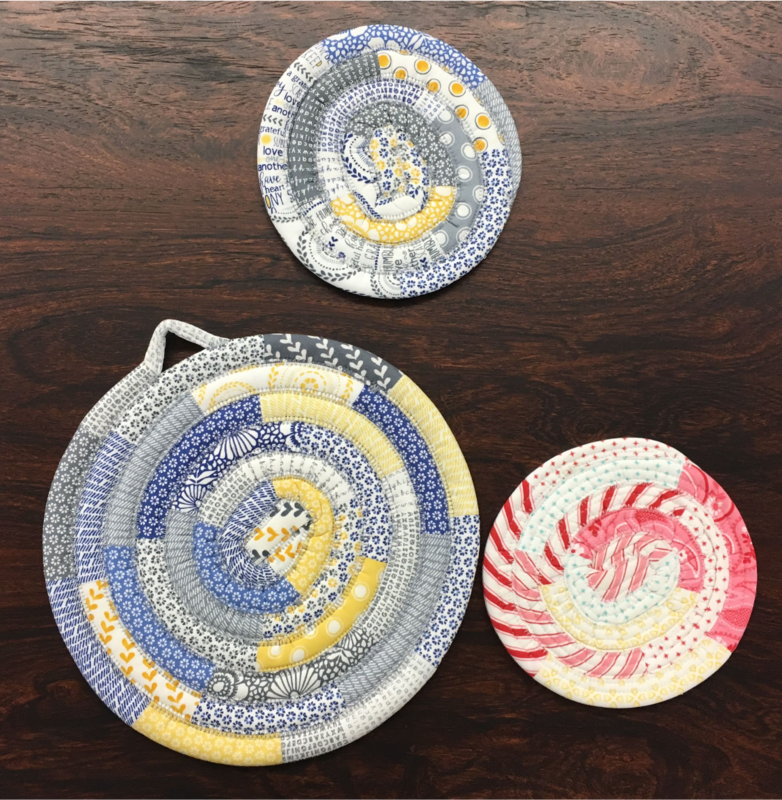 The mug rug and trivet is a smaller version of the Jelly-Roll Rug pattern. After completing this class, you will be able to make the large round or oval Jelly Roll rug on your own! Jelly-Roll Rug Pattern by RJ Designs is available at Dublin Sewing Center. Your sewing machine must be strong enough to go through multiple layers of fabric and batting. The sewing machine must be able to sew a 5.0 mm or 5.5 mm zigzag stitch. Check your owner's manual to make sure your machine can sew this wide stitch. Machine must be in good working order. Students need to be knowledgeable about their machines and be able to sew a zigzag stitch. Please read class requirements described above.